High research and development costs and lengthy time-to-market challenges make it difficult for pharmaceutical companies to successfully introduce new drugs to market. To expedite the process, these companies rely on a highly structured clinical trial system to collect, analyze, and categorize data about a new drug as it progresses through development, testing, and trials in the field. Yet like a massive pipeline that's equipped with a myriad of inbound and outbound valves and conduits, the clinical trial system depends on precise timing, monitoring, and coordination efforts as well as a cataloged flow of information and materials. If just one critical step in the clinical trials process goes awry and slows or stops the pipeline, the drug manufacturer could lose tens or even hundreds of millions of dollars in potential revenue and profit. The longer it takes for a new drug to go through clinical trials, the shorter the amount of time is available to enjoy protected sales on the market before its patent expires--an industry rule of thumb pegs the opportunity cost as high as $1 million per day in lost revenues. To help keep the new-drug pipeline flowing freely and improve time-to-market and profitability, pharmaceutical manufacturers often rely on various technologies to help connect clinical trial management with manufacturing. Among the most popular systems are those that aid collaborative communication and planning, simulation and subject compliance, clinical supplies, packaging, and manufacturing. The clinical trial system requires the input, output, and cooperation of diverse groups, including personnel from the pharmaceutical company's medical department, biostatisticians, investigators, trial subjects, representatives of domestic and nondomestic regulatory organizations, manufacturing personnel, packaging personnel, and sometimes representatives from contract research organizations (CROs) and other third-party vendors. To juggle the needs and requests of these groups during the clinical trial process, a pharmaceutical company reties on the knowledge, experience, and involvement of its in-house clinical supply group or CRO packaging and clinical supply group. Often, this job requires as much explanation as it does expertise. For instance, even the most experienced pharmaceutical personnel may be unaware that decisions made at the study-design level can have a significant effect on manufacturing and packaging operations and profitability down the line. It's the job of those in clinical supply to explain the cost- and time-effectiveness of alternative decisions, as demonstrated in the following group-specific examples. Medical personnel. When medical personnel design a clinical study, they often request complex packaging designs that will take a significant amount of time to produce; for example, blister packs with detailed instructions printed on each blister. Bottles that contain a preprinted instructional leaflet are usually less expensive and faster to package. Moreover, medical personnel often do not understand the extensive lead times for formulation, validation, and stability efforts that are needed to obtain and blind comparative products (i.e., to develop a product that is visually identical to a competitor's drug). Biostatistics personnel. Biostatisticians who work closely with medical staff to design a clinical trial hold considerable sway over how a clinical drug is packaged and distributed. However, their decisions may not always be optimum. For example, they may request a randomization scheme that could inadvertently make the setup of packaging runs difficult, time-consuming, and expensive. Clinical investigators. Clinical investigators--the physicians who provide the drug to the patient--may have difficulty keeping track of various standard operating procedures, storage conditions, minimum inventories, and other rules related to a range of studies and products. In addition, investigators are sometimes responsible for reordering new-drug supplies. They may assume that a product is sitting on a shelf in a warehouse and is ready to be distributed when in fact a reorder may require a full manufacturing and packaging run because of limited available supplies. Trial subjects. Responsible for taking the investigational drug, trial subjects present multiple challenges to the packaging and clinical supply group. 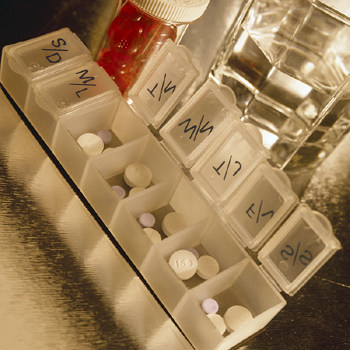 For example, subjects might misplace their drug supplies or not take the product as labeled. The clinical supply group must carefully consider the packaging with trial subjects in mind as well. Historically, clinical materials were exempt from regulations concerning child-resistant pharmaceutical packaging. However, today's clinical materials often must adhere to the same guidelines as those for marketed products. Thus, trials for certain demographic groups such as arthritis patients may require special packaging materials to ensure that the packaging will comply with both trial and regulatory requirements. Regulatory organizations. Regulatory organizations during the clinical trial process are critical stakeholders. The documentation, tracking requirements, and import-export considerations for clinical supplies are extensive. Insufficient or inaccurate documentation during a trial can delay or cancel it, thereby resulting in huge losses to the study sponsor. The manufacturing group. The manufacturing group within a pharmaceutical company is unique in that it is both a supplier and a customer of the clinical trial materials. The facility that supplies the clinical trial material usually is not the same facility or even the same company that will manufacture the drug for the market. However, the manufacturer must know how the drug is produced and, therefore, will be a customer for the production data from the clinical material facility. For this reason, the manufacturer also may want to be involved in decision-making for producing the trial formulations. CROs and third-party vendors. CROs and third-party vendors hired by the pharmaceutical company to assist with manufacturing, packaging, labeling, and distributing clinical materials rely on data about the clinical trial and supplies to plan and execute their work. Any break in the process such as a delay in the delivery of the investigational drug from the pharmaceutical company can seriously disrupt the timing and success of their work. The packaging and clinical supply group must design ways to cost-effectively meet the needs of multiple groups involved in the process. In addition, it must deal with the unique challenges of manufacturing and distributing an investigational product. Because pharmaceutical companies typically plan worldwide marketing and sales of a new drug, this poses a host of issues related to international production and testing. Before a drug can be sold in a country, it may first need to go through a clinical trial under the rules that are specific to that country. Sourcing issues for new drugs are complex because many countries do not permit the use of certain compounds. For example, most European countries require excipients, capsule shells, and bulk drug products to be certified as free of bovine spongiform encephalopathy and transmissible spongiform encephalopathy. Country-specific requirements such as these pose unique challenges when drugs are still in research and development because it is typically not cost-effective to manufacture different batches for each country. Thus, most pharmaceutical manufacturers follow the requirements of the country having the most-strict regulations. However, drug companies often do not decide which countries will participate in a clinical trial until late in the process. By that point, it may be difficult to obtain sufficient quantities of the drug material in time to make and deliver the first batch to the first investigator in time for the first patient visit. Sometimes, a company will manufacture different clinical trial batches for different countries. However, this can lead to supply challenges if the sites in one country are running short on the drug while another country has an oversupply. Often, the oversupply cannot legally be sent to the sites that are in need. Thus, companies must track which batches may legally go to which site and ensure that material is not sent to the wrong location. Mistakenly sending the wrong batch to the wrong country not only may result in a large fine from the regulatory agency for that nation, it also may invalidate the clinical study data.